DanceSafe is a non-profit, harm reduction organization promoting health and safety within the rave and nightclub community. Local chapters consist of young people from within the dance culture itself who have a sincere interest in bettering their communities and educating themselves and their peers. Dancesafe trains volunteers to be health educators and drug abuse prevention counselors within their own communities, utilizing the principles and methods of harm reduction and popular education. They also provide adulterant screening and pill testing services for ecstasy users. Through the site, users can access knowledge databases, expert-moderated forums, and testing results. 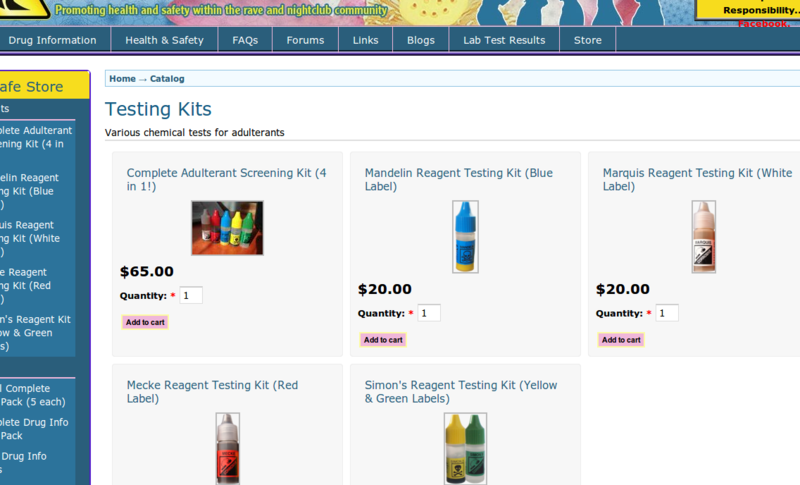 There is also a simple webstore where users can purchase adulterant screening kits and informational resources about the dangers of drug abuse. Freelock has been hired to perform maintenance and small upgrades on the DanceSafe site. If you have a current website that could use some maintenance or additional work, don't hesitate to get in touch.